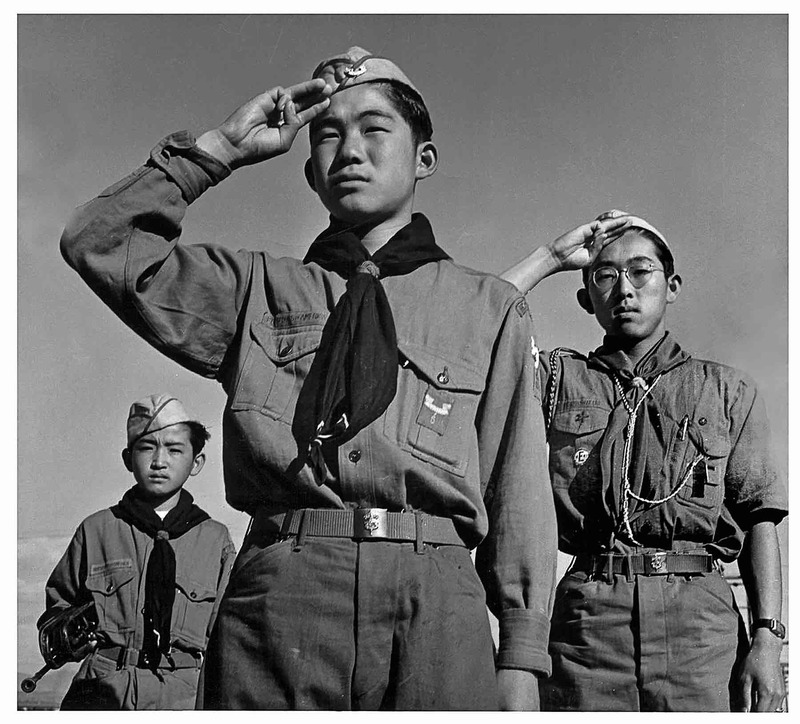 Junzo Jake Ohara, Takeshi Motoyasu, and Eddie Tetsuji Kato were members of Koyasan Boy Scout Troop 379 at the Heart Mountain, Wyo., concentration camp during World War II. Top photo by Paul Kitagaki Jr. Historical photo below by Pat Coffey, 1943, courtesy of The Bancroft Library. In conjunction with the exhibition “Gambatte! Legacy of an Enduring Spirit,” a panel discussion will be held on Saturday, Feb. 9, at 2 p.m. at the Japanese American National Museum, 100 N. Central Ave. in Little Tokyo. “Gambatte!” features contemporary photos taken by Pulitzer Prize-winning photojournalist Paul Kitagaki Jr. of Japanese Americans who were forcibly removed and incarcerated during WWII, displayed next to images shot 75 years ago by such noted photographers as Dorothea Lange, Ansel Adams, and others; each pairing features the same individuals or their direct descendants as the subject matter. A book version will be released in April. Kitagaki will discuss his creative process, stories about the images, and the effects this project has had on those both behind and in front of the camera. 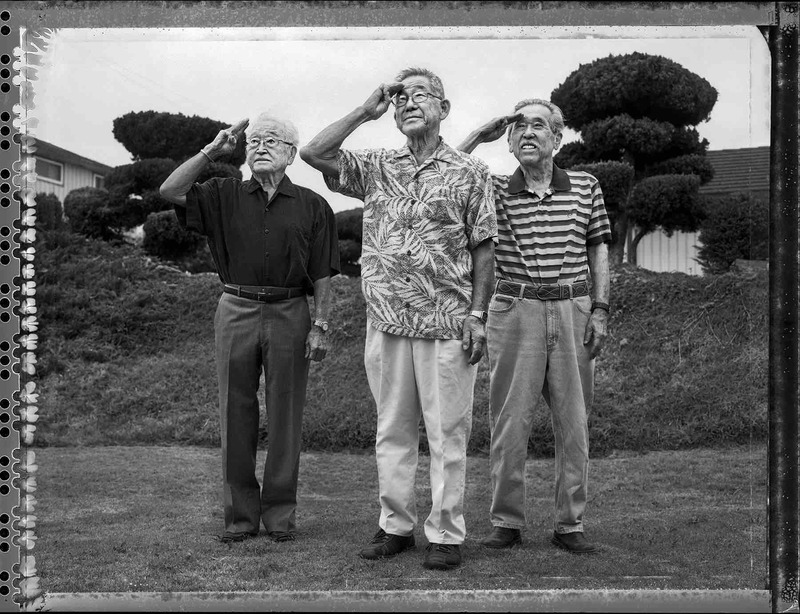 He will be joined by Mason Tachibana and Junzo Jake Ohara, who were photographed as part of the project. The discussion is followed by an audience Q&A.